We’ve been feeling the love at Kebabeesh this week, and we’re delighted to introduce our Valentines Day menu for 2017. We can’t wait to open our doors to customers old and new for a series of evenings, with a romantic ambience and of course, great food! Our three-course menu has something to put everybody in the mood. 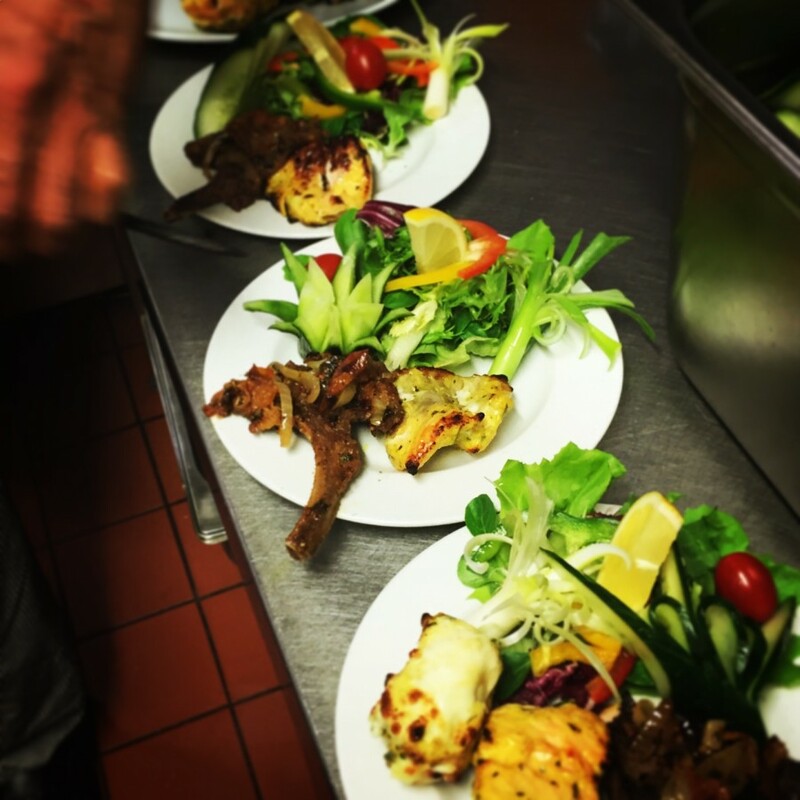 Whether you like a bit of spice, or if it has to be a smooth and creamy dish to make you go weak at the knees, we are sure that you’ll love what we’ve put together for you. From our starters, why not try our luxurious King Prawn Tikka, packed full of fantastic flavours? Juicy king prawns, marinated in a blend of olive oil, crushed cumin and coriander seeds, then chargrilled to perfection. We also have two chicken dishes to choose from: The tandoori-style Achari Boti, marinated in a tangy mix and cooked in a clay oven, and the delicious minced Reshmi kebabs. Main attractions include a wonderful Butter Chicken, designed specially by our Head Chef, to celebrate this special occasion. Rich, indulgent and as decadent as a valentine’s dish should be, butter chicken is a firm Indian favourite. Tandoori chicken is marinated overnight, then added to a rich creamy butter sauce infused with fenugreek, with finely chopped onions, ginger, garlic and punjabi spices to pump up the flavours in this generous dish. We’ll also be serving our signature creamy lamb passanda. What’s not to love? To round things off the perfect evening, we have a sumptuous trio of mango, strawberry or double chocolate cheesecakes to choose from. Whichever you choose, they are so good that you may find it hard to share a spoonful with your date! So whether it’s dinner with a first date, or your long-term love, we hope you’ve fallen for our menu and you’ll choose to dine with us on Valentines Day! Our three course menu is £24.95 per person from 14th-19th February To make your reservations, call our reservations on 01274 617188.